Have you been offered foam at less than a dollar a sq. foot? You might want to think twice at that price point. This homeowner wished they had. The assembly is hollow! This happens when a technician sprays at a hotter temperature than is recommended by the manufacturer. This creates a pizza crust like bubble, saving the installer time and the company money because the customer is not getting all the foam they paid for. This wall assembly was sprayed by a lowest bid contractor. 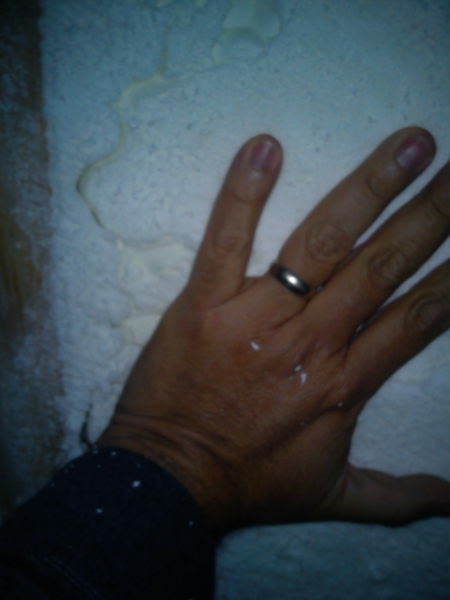 At first glance, the foam install on the wall looks of average quality and the industry standard of three inches thick. 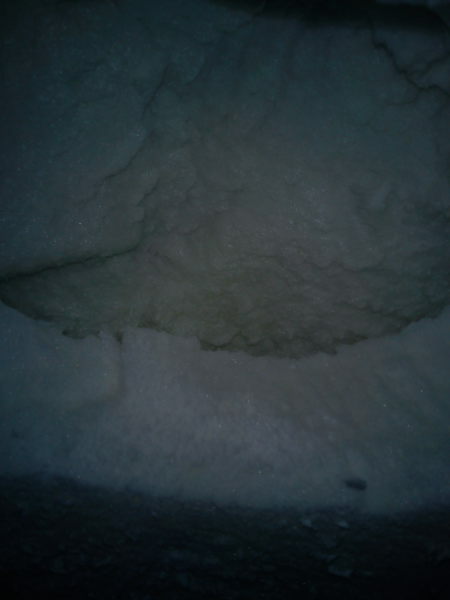 However, when pressure is applied to the foam, the real problem presents itself. 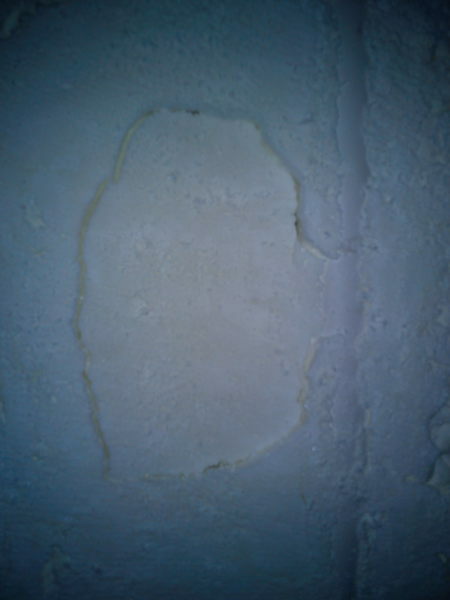 The customer was sold three inches of foam in the wall, but the wall cavity that appears to be full is not. Sadly, this is not the only problem here. 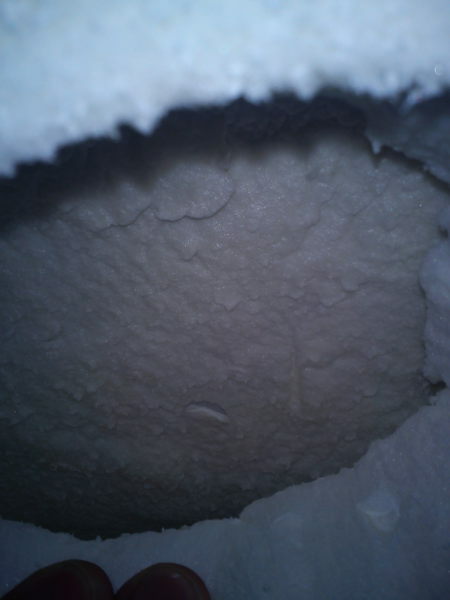 Open Cell foam needs to be two inches thick to become an air barrier. The wall is hollow, so we do not have a consecutive two inches. Therefore, this wall fails as an insulation product. The hollow wall has a pocket where moisture can be trapped. 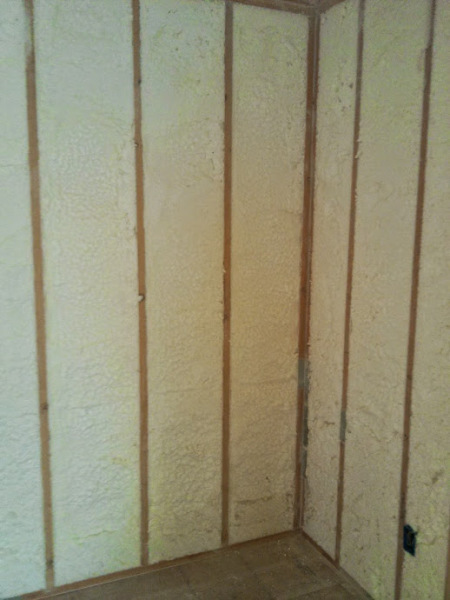 Condensation will build in this wall and the customer will have a moisture issue. Yet, the trouble does not end here. The shiny crust on the foam indicates that it is Isocyanate rich, which means the chemical was not properly mixed. A certain percentage of the population is allergic to Isocyanate which causes allergy like symptoms. Combine this unactivated chemical, moisture and summer heat and this wall will behave like a candle diffuser, releasing a mild chemical scent throughout the room. The homeowner would most likely assume the smell is coming from new carpet or furniture, never realizing they have a major allergen trapped in their walls. A proper wall assembly is not an easy feat to achieve. 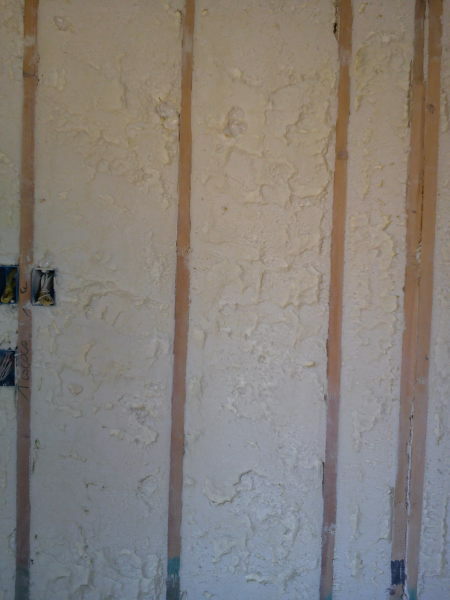 Our foam is sprayed so that as much of the original skin stays in the wall. This allows for faster drying time should the house ever flood and it adds a slight amount of additional R-value. All our walls are hand cut and scraped, eliminating hollow spots, cut wires and areas that will cause your sheetrock crew problems. Foam is not a product to purchase based on price. A foam crew is manufacturing plastic in your home. Trust only a proven team to do this job.